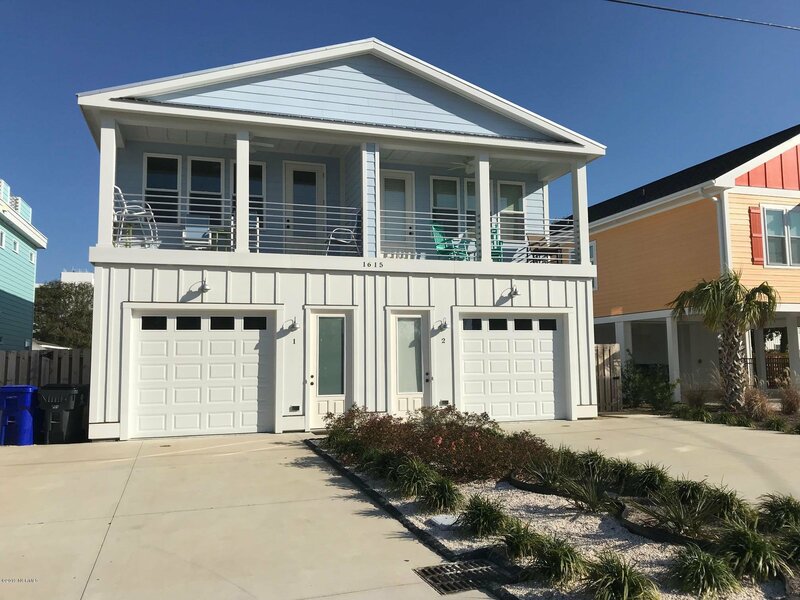 Brand new in Carolina Beach! Well built townhome located just several blocks to the beach! 1517 Swordfish Lane #1 (north side) has 3 bedrooms and 2.5 baths. Tall ceilings and lots of windows provide a great feel. The main level has beautiful wood floors in the kitchen / living / dining area and tiled bath floors. The kitchen has beautiful cabinets and granite counters. Lots of nice touches and low maintenance features including Trex decking, Hardi Board Color+ siding, and a metal roof. There is a finished garage and an outdoor shower head. No HOA dues. A super location and a great home for those wanting to enjoy the beach lifestyle! Quality built by a local builder. Note: Picture is of previous model. This home should be move-in ready Spring 2019.